In California, home buyers can take some alternative routes to their goal of affordable real estate ownership. The state allows tax lien sales on properties that are delinquent in the payment of property taxes, as well as "pre-foreclosure" sales negotiated between a buyer, seller and lender before the foreclosure process is complete. There are some important caveats to these buying methods however, which may present the eager purchaser with some legal and financial challenges. The state of California allows local governments to sell properties that have been delinquent on their property taxes for at least five years. This waiting period falls to three years if the city or county has filed a nuisance abatement lien, which requires the owner to repair a public health or safety hazard on the property. Typically, a county tax authority will hold a public auction, at which members of the public can bid on the property. Several counties hold these auctions on the Internet. The highest bidder wins the property free and clear of all encumbrances, with several exceptions including tax liens, special assessments and IRS liens. In a pre-foreclosure sale, a buyer comes forward to make an offer to a homeowner who is in default on his mortgage. California law sets several timelines in the foreclosure process, giving the homeowner several months to either work out the delinquent loan or unload the house to a pre-foreclosure buyer. This gives the buyer an opportunity to work with the lender as well as the owner to negotiate a below-market price for the property. The federal Department of Housing and Urban Development offers struggling homeowners a Preforeclosure Sales Program. The program allows short sales, in which the proceeds are less than the market value of the home and pays $1,000 to the homeowner if the sale closes within three months of the application to HUD. There are several conditions, however: the home must be owner-occupied; the borrower must be at least 31 days past due on the loan; and the borrower must document the change in their financial circumstances that prevents him from repaying the loan. Although a tax lien sale may allow a property buyer to find a bargain, in California, these sales are subject to competitive bidding. This means many properties will sell for close to, or at, their market value. Although the process varies from one county to the next, the local tax authority will typically advertise the sale well in advance. In Alameda County, for example, tax lien sales must be posted once a week for three weeks before the sale takes place. In addition, the buyer must satisfy the tax lien, for whatever amount it may be, and take the property "as is"--there is no guarantee that the house is in good condition. 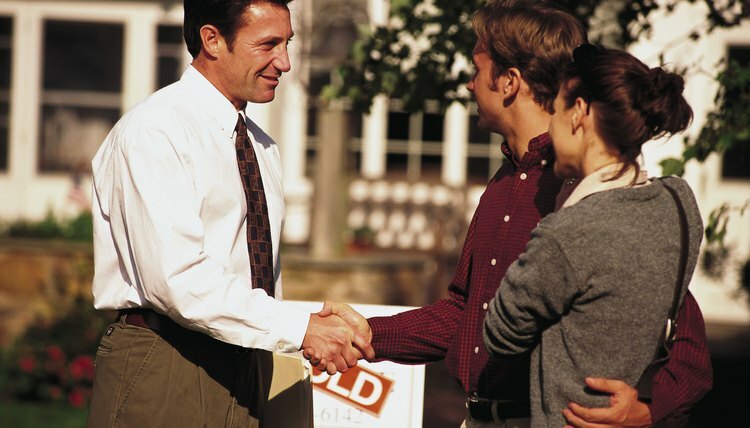 California's multi-step foreclosure process gives potential buyers plenty of time to negotiate a sale. In addition to the three-month waiting period between the required Notice of Default and Notice of Sale, the state allows up to a full year of delay after the Notice of Sale. But pre-foreclosure buyers also have some legwork: they must check for liens and judgments against the property, which they may become responsible for; they must verify the owner has clear title and the property is in good condition. And, in many cases, cash is king: traditional mortgage financing won't be available for buyers of homes already in the foreclosure process. Floridians who wish to hold on to valuable assets, such as the family home, often choose to file for Chapter 13 bankruptcy when they find themselves drowning in debt. They get to keep their property while paying some or all of their debt over an extended period of time. If a property has multiple liens on it, Chapter 13 can even strip these liens from the property. As long as a debtor successfully completes his payment plan, creditors typically release the liens automatically when the bankruptcy is discharged.